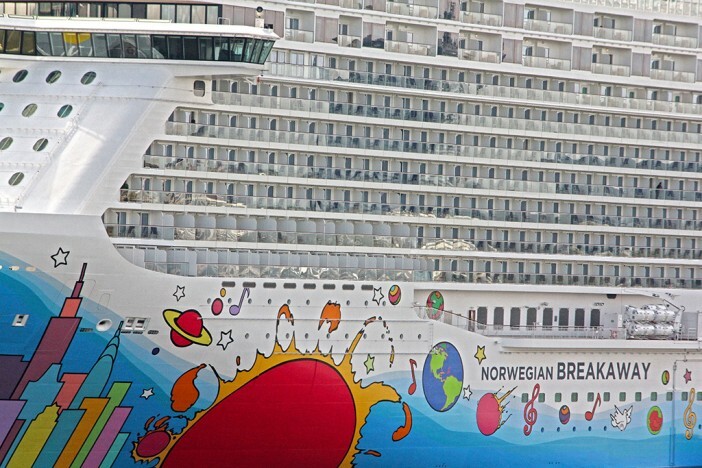 Norwegian Cruise Line has announced plans to increase their fleet to 17 ships by 2019 with the order of two new ‘Breakaway Plus’ class ships with Meyer Werft. The two new ships are due for delivery and launch in 2018 and 2019. The cruise company currently has two more ships of this class on order, the Norwegian Escape and the Norwegian Bliss, due for delivery in 2015 and 2017 respectively. This new order demonstrates an incredible confidence in the new class of ships before they even set sail. The new ships are larger than the established Breakaway class, comprising of an additional deck. The upcoming ships will register at approximately 163,000 GRT and carry roughly 4,200 guests each. The new class of ships are expected to boast even more restaurants and amenities than the ships of the Breakaway class, which currently play host an expansive waterpark, outdoor adventure park, wrap-around promenade and a number of speciality dining options. This significant investment further demonstrates the growing popularity of cruise holidays with many cruise companies planning increased fleets and services in the coming years. Visit our dedicated Norwegian Cruise Line page, here, or phone our dedicated sales team on 0808 274 6777 for the latest deals on Norwegian Cruise Line holidays.